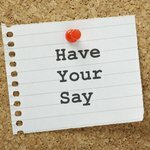 The Department of Justice and Regulation is seeking the community's views on current and future keno licensing arrangements in Victoria. The Environment and Communications References Committee of the Australian Senate has completed its inquiry into the extent to which gaming micro-transactions for chance-based items, sometimes referred to as 'loot boxes', may be harmful. 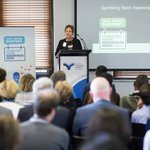 Victoria’s inaugural Gambling Harm Awareness Week (8–14 October) was today launched by the Minister for Consumer Affairs, Gaming and Liquor Regulation, Marlene Kairouz, at an event that showcased innovative community approaches to tackling gambling harm. 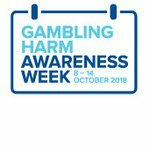 Gambling Harm Awareness Week, 8–14 October 2018 in the ACT and Victoria, provides an opportunity to talk openly about what gambling harm is, how it affects the community, what can be done to prevent it, and how to support those affected by it. This edition contains 2016–2017 gambling statistics for all Australian states and territories. 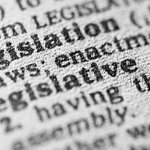 Victoria has passed legislation to introduce a point of consumption tax (POCT) for wagering and sports betting from 1 January 2019. The Victorian POCT will be payable by wagering and betting operators on the revenue derived from wagers and bets of customers located in Victoria. On 24 September 2018, the Victorian Commission for Gambling and Liquor Regulation refused an application from Dandenong Cranbourne RSL Sub-Branch Inc to increase the number of pokies at Dandenong RSL from 63 to 74. On 21 September 2018, the Victorian Commission for Gambling and Liquor Regulation approved an application from Leopold Sportsman's Club Inc to increase the number of pokies at the Leopold Sportsman's Club in the City of Greater Geelong from 35 to 42. On 23 and 24 August 2018, the Victorian Commission for Gambling and Liquor Regulation heard an application from Castello Cardinia Hotel Pty Ltd to increase the number of pokies at Castello's Cardinia Hotel in the Shire of Cardinia from 50 to 70. 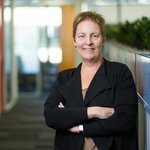 Janet Dore has been appointed as the interim Chief Executive Officer of the Victorian Responsible Gambling Foundation. Ms Dore will commence her role as interim CEO in mid-October, replacing Louise Glanville who will start a new role as Managing Director of Victoria Legal Aid. Senior public sector executive Louise Glanville has been appointed as Managing Director of Victoria Legal Aid, the first woman to head the organisation. Ms Glanville has almost two decades’ experience working in senior leadership roles for the Victorian and Commonwealth Governments. The Australian Communications and Media Authority (ACMA) has approved new rules restricting gambling advertising during live sport streamed online. 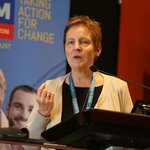 In this edition Louise discusses: The Foundation's third biennial conference—Gambling Harm 2018: Taking Action for Change, new research, Gambling Harm Awareness Week, awareness campaign 'The Talk', the formation of a lived experience advisory committee. On 31 July 2018, the Victorian Commission for Gambling and Liquor Regulation refused an application from Lynbrook Tavern Pty Ltd to increase the number of pokies at the Lynbrook Hotel in the City of Casey from 55 to 75. 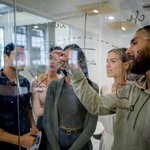 The Victorian Responsible Gambling Foundation is seeking expressions of interest from people who have personal experience of gambling harm to join an advisory committee. Betting operators are using direct marketing channels, like SMS, to advertise inducements to regular sports and racing bettors – predominantly young men – that effectively encourage them to gamble more frequently and with larger amounts of money, thereby increasing their risk of harm. 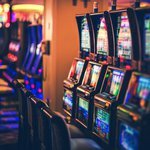 Victorian Responsible Gambling Foundation-funded CQUniversity research led by Professor Matthew Rockloff suggests there may be a role for legislative intervention to play in preventing harm from electronic gaming machine/pokies-themed apps. A diverse range of experts is meeting in Geelong over the next three days to participate in the Victorian Responsible Gambling Foundation’s biennial Gambling Harm Conference, which this year focuses on the theme of Taking action for change.